Site Selection and Design Guidance. We begin each project by defining a client’s wants, needs and overall vision in order to select the ideal site, and create a seamless plan to move the project from concept to design. By leveraging this comprehensive process, clients are able to create the most effective layout at the optimal site while also selecting the most appropriate building design and materials. Once completed, firm cost parameters can be established to guide the project. Turnkey project development. Guided by management and under the direction of our superintendants, Hobgood Construction provides turnkey project development services customized to your needs. We can coordinate the architectural/engineering design of a building, process the plans through the various government agencies for permitting, and construct the facility in accordance with the predetermined budget and schedule. 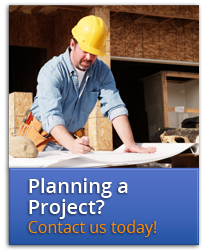 Hobgood Construction takes pride in providing a hands-on approach to project management. One of our on-site superintendants is always present to manage your workflow and monitor the quality of our staff and subcontractors’ work. Single Point of Accountability. By allowing us to coordinate all project elements, including real estate, design, construction and jurisdiction, clients enjoy a responsive single point of contact who assumes all responsibility while removing hassles. Commercial Construction Qualifications. Hobgood Construction holds the full, unrestricted State of Georgia Commercial General Contractor’s License. We are bonded, insured and have an extensive list of available references from past projects. Learn more about our experience in your sector and contact us to discuss your upcoming projects.